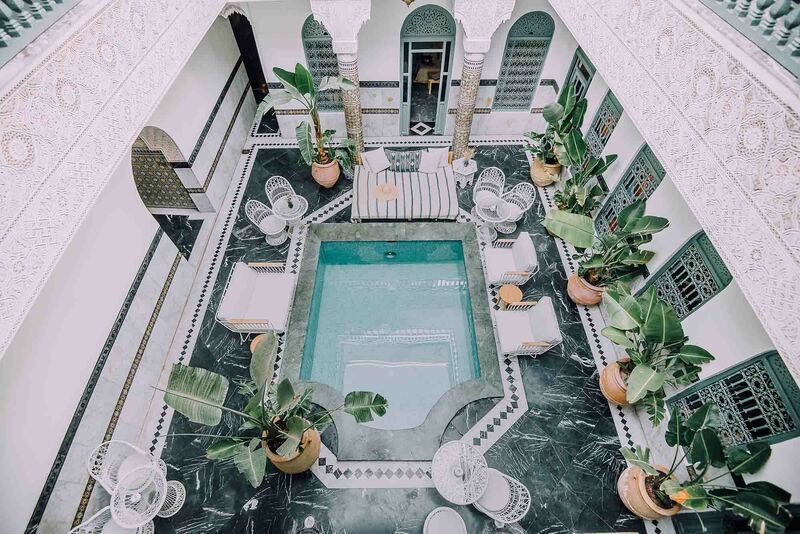 Located on the ground floor near the swimming pool, room with traditionnal moroccan zellige, private bathroom with shower. Family suite in the colors of the famous garden with two bedrooms located on the 1st floor, private bathroom in zellige with bath. 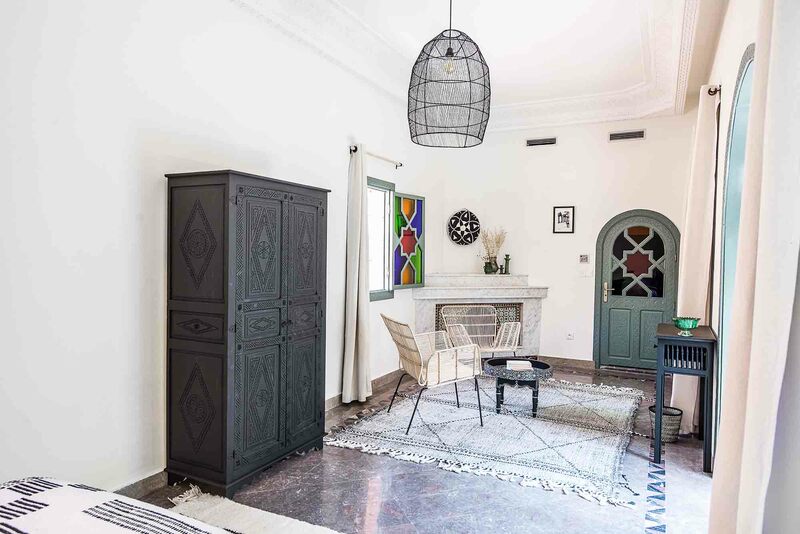 Bedroom with refined decoration located on the 1st floor with view on the patio, bathroom with shower in tadelakt. Bedroom with naturals tones, dressing in tadelakt, located on the 1st floor with view on the patio, private bathroom with shower. Cosy and intimate bedroom located on the 1st floor, private bathroom in zellige with shower. Big bright suite located on the first flow with a view on the patio, living room area and a fireplace, private bathroom with olf-fashioned bathtub with feets. Bohemian vibe suite with rattan seats, macrame tissage and a tuareg mat, located on the 1st floor with a view on the patio. Private bathroom with olf-fashioned bathtub with feets. Big bright suite located on the rooftop with private terrace. Bohemian spirit with a bed of lemon wood, a tuareg mat and a living room area with rattan seats. Big private bathroom with bath. Suite located on the 1st floor that shows the work of moroccan craftsmen with its traditional lighting, its living room area with a vintage kilim and copper coffee table. Private bathroom in zellige with bathtub. Ksar Kasbah can also be privatized. Rent with family, friends or a professional meeting. Staff wil ensure your comfort.